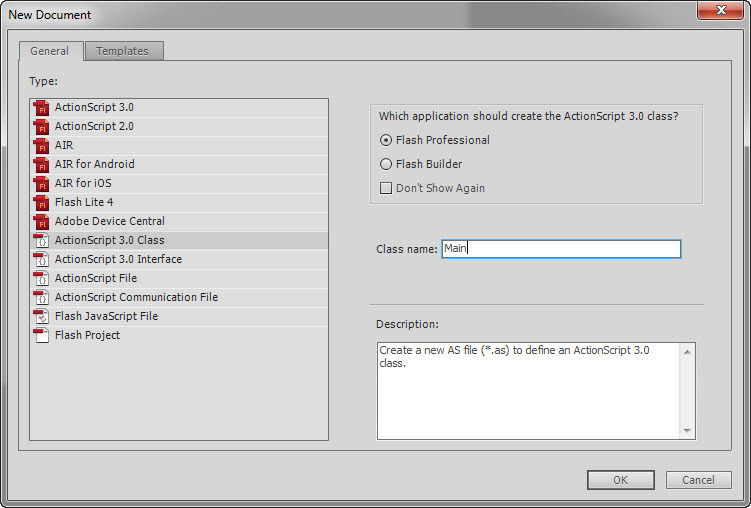 Tutorial: How to configure Adobe Flash Professional CS5.5. In this series of tutorials we’re going to create template projects for three Integrated Development Environments (IDE) commonly used by ActionScript developers: Flash Professional, Flash Builder, and Flash Develop. We’ll target our templates for ActionScript development. 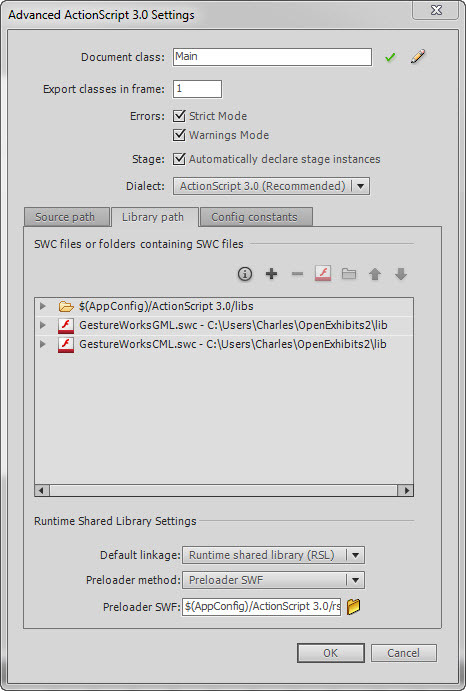 This tutorial requires Adobe Flash CS5+ and Open Exhibits 2 (download the sdk ). 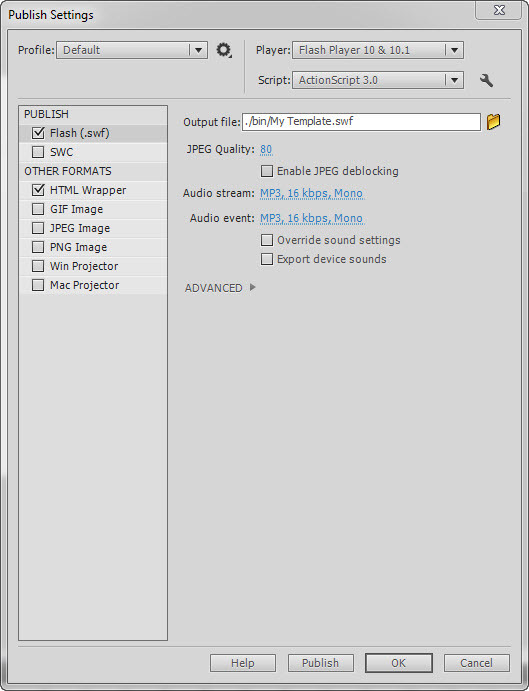 In this tutorial we’ll use Flash Professional CS5.5 to create a template project that we can use to create Open Exhibits applications using only ActionScript. You may also use Flash Professional CS5.0, though there might be some slight differences in the instruction. Open up the installed template folder. You’ll see that Open Exhibits comes with a variety of templates. In this tutorial, we’ll go through the process of making our own template. We’ll print Hello World to the stage as a test. 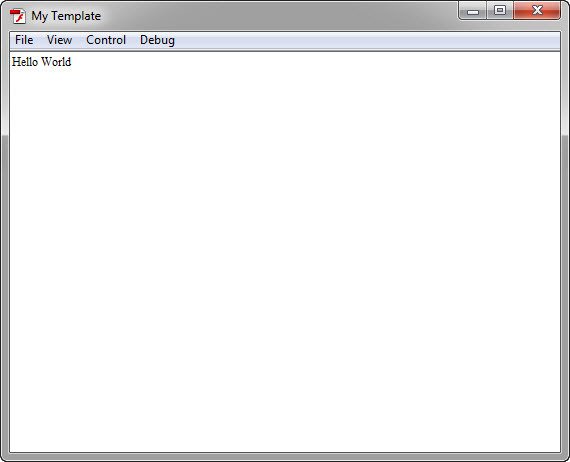 First, we’ll create a new folder inside of the templates folder called: My Template. We’ll use this folder to store all the needed files that make up our project. 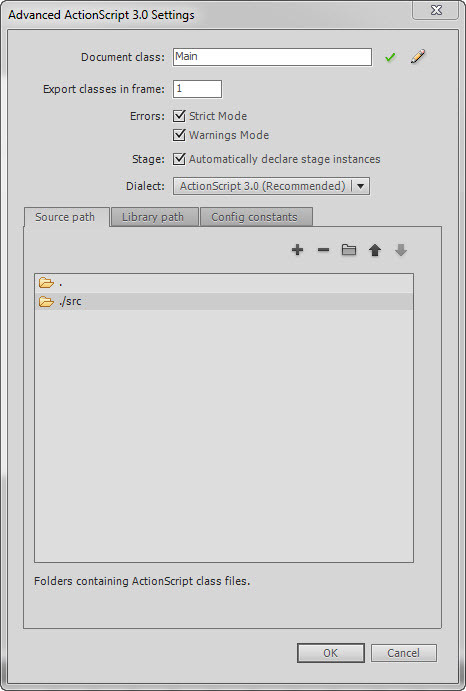 Now that we have our project directory set up correctly, we can start setting up the project within the IDE. Next, we’re going to link the necessary files to our projects. The first thing to note is that Charles will be replaced by your own user name. The second thing is that this file is linked though an absolute path. We could alternatively use a relative path, but using an absolute path allows us to move our project folder without worrying about the location of the library files. The last thing we’ll do is set up our Main ActionScript class. We’ll write a Hello World program just to verify that it’s compiling properly. This a mandatory class for every Open Exhibits application. ..allows us to create a text display object, which we use to print our Hello World message to the stage. gestureworksInit() is an abstract protected method of the GestureWorks class. An abstract method is one that is meant to be overridden by a subclass. This allows us to provide our own custom code for this method. It is called by the GestureWorks class when all the necessary files have been loaded and processed. This as our entry point into writing applications.